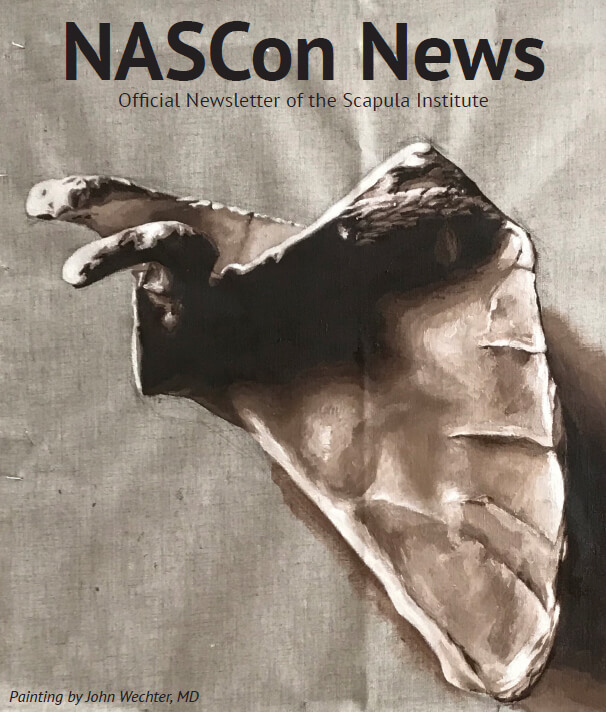 I am pleased to welcome you to the 2nd NASCON News. Many wonderful things have transpired since our last edition, and some of it because of your great commitment. As you will see from this publication, our team is expanding, and I am pleased to introduce to you some new names and faces–a cause for celebration! Our Scapula Institute TEAM is made up of clinicians, researchers, and volunteers, all with a passion to advance the work of discovery and education for scapula fractures and complex shoulder girdle injuries. I am thankful to many of you who have helped toward this end! I would like to call out a special thanks to Joscelyn Tatro, our NASCON News Editor, who many of you have no doubt met in the office a time or two. She has done a great job of capturing the essence of a passionate team in this edition. You will appreciate the Scapula in the painting on the cover, by Dr. John Wechter, a former resident orthopaedic surgeon from the University of Minnesota. John is a great friend of The Institute, who has contributed his time and energy to begin a gallery of artwork celebrating our newest orthopaedic frontier. 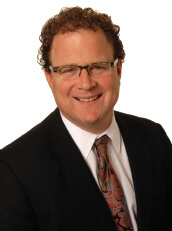 You will be certain to hear more from Dr. Wechter about his new theme in the months to come. He is a master artist through many media and successfully completed the oil-on-canvas earlier this past summer. Inside this feature, you will find a summary of perhaps the most important manuscript ever published in the 20 years of treating this condition. In our leading Journal of Bone and Joint Surgery, we managed to publish a 5-10 year functional outcome study, which is almost unheard of in the field of trauma surgery, a direct manifestation of our team’s careful documentation of all our patients’ office visits and exams, and directly related to your close followup! In this study, we analyzed intra (inside the shoulder joint) and extra (outside the shoulder joint) articular fracture outcomes and determined steady improvement even beyond 5 years with a very low conversion rate to total shoulder replacement. I wish you a holiday season of gratitude for all the gifts of this life, especially the gift of recovery. In many ways this is a lifelong process for us all at some level, and one which shapes us into beings who can make our world a better place to live. Please consider us in your end of year gifts, and do give with glee!